Increasingly, Aboriginal language words are being employed to name public places, facilities (buildings and office suites), events, programs and products. It is protocol to engage with Traditional Owners to seek permission to use their language words, and seek guidance about what language words might be appropriate for use in these instances. Many contemporary words and concepts will not have equivalent translations, particularly among Victorian language groups, so be prepared to be open to suggestions. 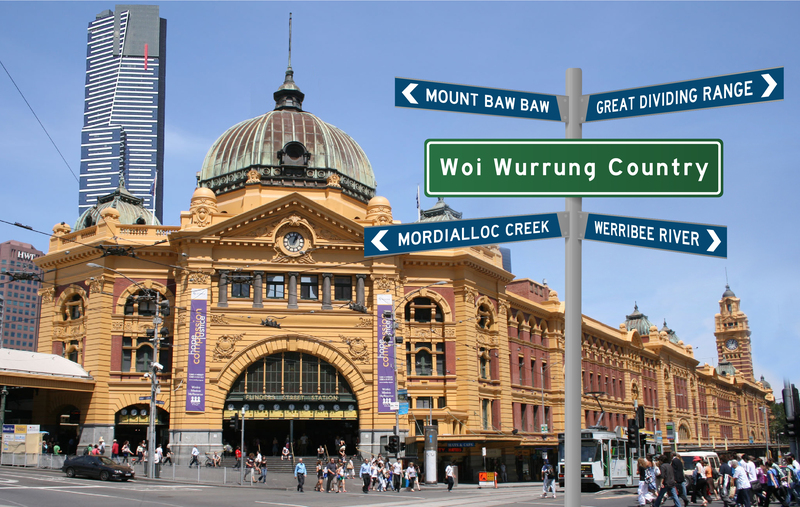 Our traditional language is Woi wurrung. Council is in the process of developing language use protocols (i.e., licensing agreements) for the use of language. Such a protocol will ensure the cultural integrity of Woi wurrung language use. Elders who are recognised language keepers will consider all requests. Please be aware that there may be some sensitivities surrounding the general publics’ use of our traditional language. Fully considering these sensitivities may take Elders several weeks. When making language requests, please factor this in when considering your timeframes for request resolution.